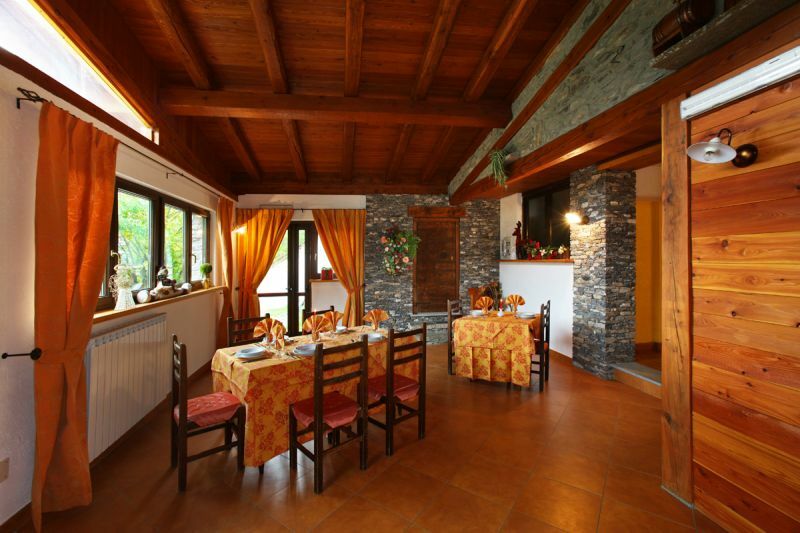 The dining room, with large windows from which to admire the view and the right time to enjoy the 'good home cooking prepared by the owner of the hotel. Ingredients, fresh and cured, homemade dishes. Breakfast is served with a rich, fresh buffet of sweet and salty. Vegetarian and gluten-free on request.